On the 10th of February, False President Trump's Secretary of Education Betsy Devos attempted to enter a DC Middle School. She was turned away by Black Lives Matter activists. During this event, her SUV ran over one activist's foot. 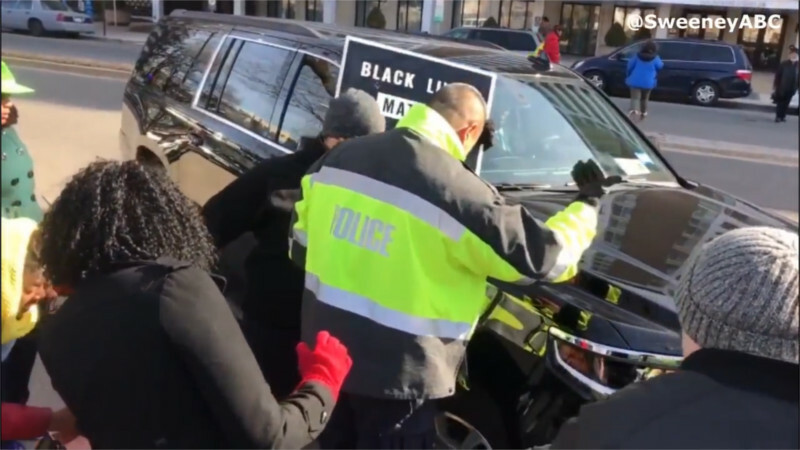 That activist was later arrested, the Washington Examiner reports one arrest for "assaulting a police officer" a charge often filed to cover up police-inflicted injuries. The same article also claims MPD is "investigating" whether Betsy Devos herself was assaulted. This even though it was her vehicle that had a tire sitting on a protester's foot, not the other way around. In other words, the witch-hunt continues against DC's progressive community.